Screening of "Sobibor" in honour of the 75th anniversary of the Sobibor killing centre uprising. Join in this year’s Great Debate and engage with leaders from five political parties as they discuss issues pertinent to the community. Make your voice heard by sending in your questions. Selected questions will be posed to our panel. 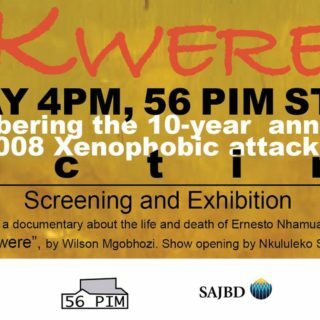 Join us on 31 May at 4pm, 56 PIM Studio. 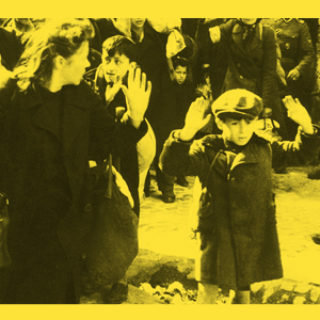 75 Years on, we remember the uprising of the Warsaw Ghetto. 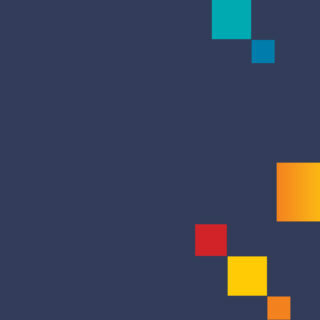 Join 60 global Jewish leaders from 50 countries and their ambassadors for a memorable evening at the World Jewish Congress National Community Directors' Forum. 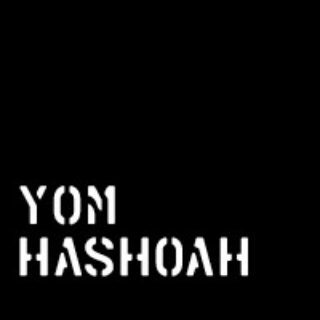 Join us as we remember and pay tribute to the six million Jews whose lives were brutally cut short at the 2017 Yom Hashoah ceremony. 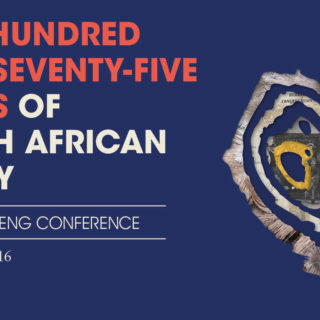 The South African Jewish Board of Deputies invites you to our Gauteng Conference: 175 Years of South African Jewry. With the hilarious Harry Sideropoulos, and guest speakers Chief Rabbi Mirvis of the UK and family representative of the late Dr Melville Edelstien. The 2016 Yom Hashoah Ceremony was held at the West Park Cemetery. 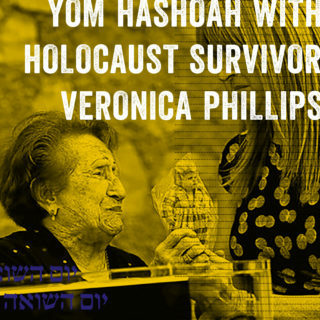 Holocaust survivor, Veronica Phillips, shared her story with the crowd which consisted of hundreds of school students, community members are press. 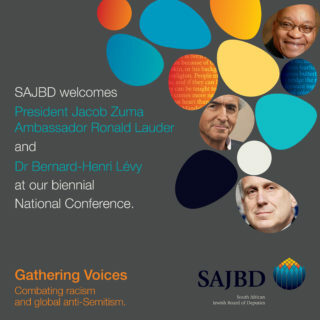 The South African Jewish Board of Deputies biennial conference "Combatting Racism and Global Antisemitism" was held at the Gold Reef City Lyric Theatre on 22 November 2015.